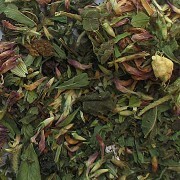 If you are feeling run down and your body and mind are overwhelmed, this tisane will aid in taking the stress away. 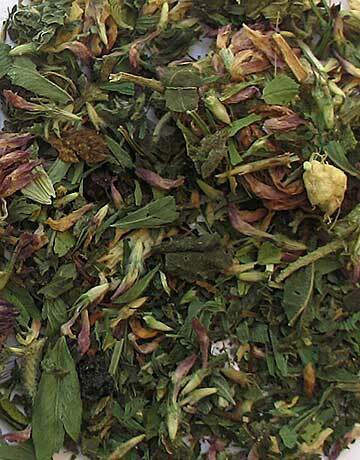 This refreshing, immune boosting blend will help strengthen and comfort you. 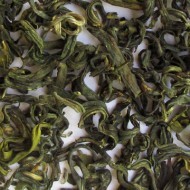 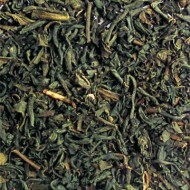 It has a lively aroma with strong herbal notes and is golden in color. 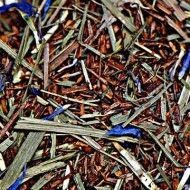 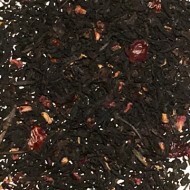 This tisane is an organic blend of ginger root, red clover herb, sage, alfalfa leaf, St. Johns Wort, nettle leaf, elder berries and red clover blossoms.